On Monday, Dec. 19, Conestoga College announced a $43.5 million expansion of its North campus in Waterloo. The expansion will more than double the size of the campus by its expected completion in September 2018 for the fall semester. The North campus currently hosts about 700 post-secondary and 2,500 apprenticeship students. It is used mainly for trades education, alongside small culinary and hospitality programs and programming classes. One of the goals of the expansion is to incorporate Conestoga satellite campuses into the North campus. One of these satellite campuses hosts the Language Instruction for New Comers (LINC) program. Another is an access program for people that have been out of school for some time, currently hosted on Weber Street. These satellite campuses will be shut down and incorporated into the expanded North campus through the new Access Hub. The facility will provide students, new Canadians, employers and employees with access to appropriate information, programs and services. The campus will also host a new Institute for Culinary & Hospitality Management. The goal is to expand the size of the existing culinary hospitality program from 350 stu-dents to well over 1000. “It’s becoming much more of a ‘foodie’ culture … many more restaurants are open in Waterloo and Kitchener, more people are concerned with what they’re eating and how it’s prepared, so we’re going to have a major expansion with that,” said Conestoga College president John Tibbits. 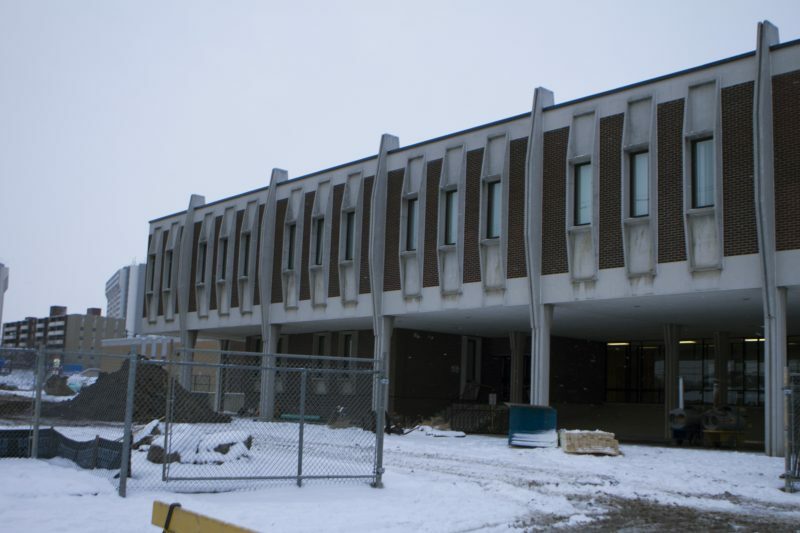 Another goal of the expansion is to improve the image of the college, which is currently built up on the old University Heights Secondary School building. The building, built in 1968, was taken over in 2006 by Conestoga. “Frankly, we needed to really improve the image … it’s a very dynamic education market in Waterloo. We have Laurier and Waterloo right there. There’s a lot of students we think we can reach out to who might want additional applied learning or accreditation or employability skills, after graduation,” Tibbits said. The expansion was made possible through a joint effort of the federal and provincial governments, alongside Conestoga College. $14 million will come from the federal government’s Post-Secondary Institutions Strategic Investment Fund and an additional $1.8 million will come from the Government of Ontario. Conestoga College itself will be paying $27.7 million. During the construction, the campus will not be shut down at all, with work being done in a way that won’t impact classroom activity. Once the expansion is complete, as many as 3000 more students are expected to arrive.